When it comes to cosmetic products, "organic" means different things to different people. That's because its very definition in the beauty industry is, currently, nebulous at best. Does it mean the product in question lacks chemical ingredients entirely? Is the formula 91% fruit and flower? Or does it contain unrefined mud and cold-pressed oils from faraway lands? Truth is, it could be anything under the sun. The important caveat here to note is that all-natural doesn't necessarily translate to more effective. So when we define organic, we look for products that incorporate the most powerful blend of natural ingredients, while not excluding all, but only those chemicals that are harmful. We're talking about ditching the real bad guys– like parabens, sulfates, silicones and the rest of 'em. (Although we've shortlisted 100% chemical-free formulas too for those who takes organic hair care very, very seriously. So don't run away just yet.) To get your hair care regimen right, the 10 best organic shampoos in India, ahead. 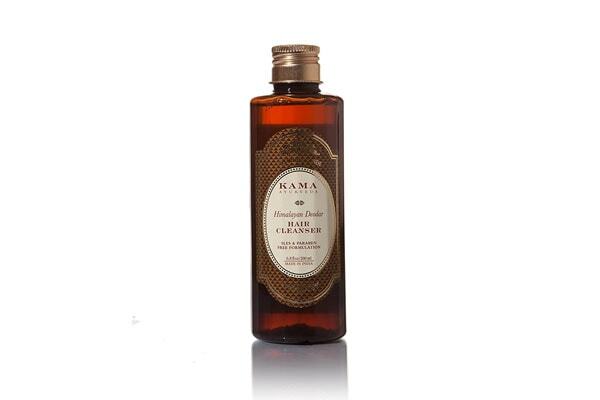 Free of SLES (sulphates), parabens and petrochemicals, the Kama Ayurveda Himalayan Deodar Hair Cleanser was made to cleanse your strands gently– without stripping them of natural oils. The formula blends vegetable soy proteins, amla, deva daru, soy bean, aloe vera and hibiscus extracts that nourish and condition your hair, improving its tensile strength with gradual use. That means stronger strands, less breakage, happier hair overall. Lightly fragranced and 100% worth the setback. 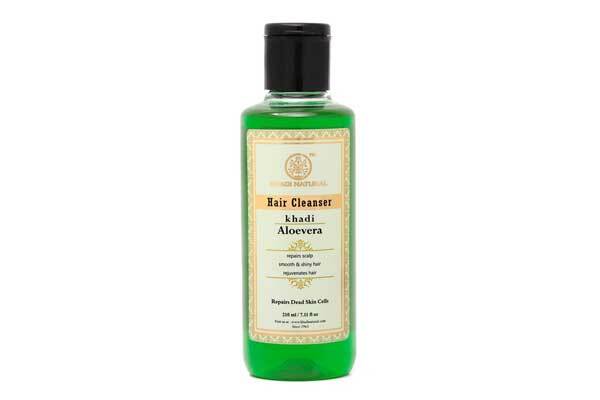 The Khadi Natural Aloevera Herbal Hair Cleanser/Shampoo is one of the best organic shampoos in India that will sound irresistible to those with a penchant for herbal products– it blends green tea extract, neem extract, tulsi extract, amla extract, neem oil, fenugreek extract, clove extract, tea tree oil, aloe vera and bhringraj, among other natural ingredients. Ideal for hair growth, hair repair and gentle cleansing. A 100% organic product in the literal sense of the definition. 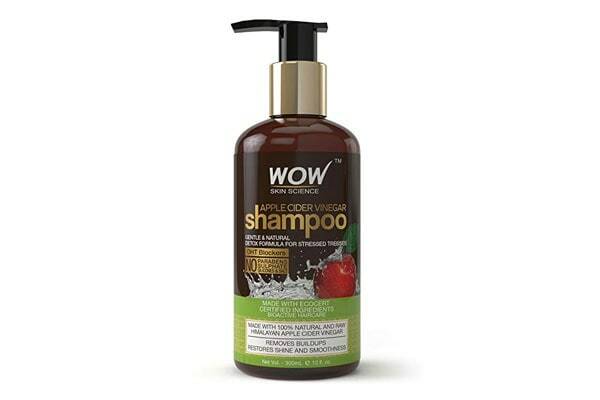 The most popular organic shampoo as declared by Amazon customers, the WOW Apple Cider Vinegar No Parabens & Sulphate Shampoo contains no sulphates or parabens. While it does contain other chemicals, be assured they'll only fortify and nourish your locks. Main ingredient apple cider vinegar boasts antibacterial and antifungal properties that will soothe irritation, while argan oil imparts moisture, killing dandruff at the roots. 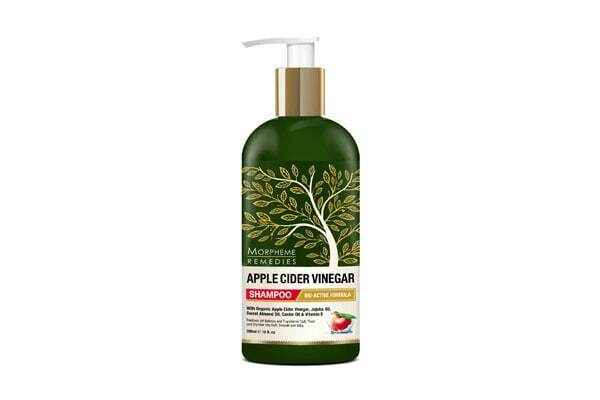 The Morpheme Remedies Apple Cider Vinegar Shampoo comes with a pump top, which allows you to use the product judiciously without wasting any product. Apple cider vinegar, jojoba oil, vitamin E, almond oil and castor oil combine to restore pH balance and give life to dull, dry hair. Again, this isn't a formula that's 100% "herbal", but at the same time provides powerful nourishment to your hair with minimal harm. 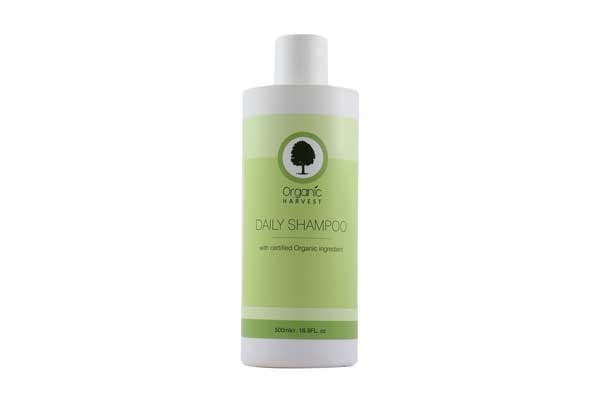 The Organic Harvest Daily Shampoo is one of the best organic shampoos in India, if you're looking for a formula that cleanses super mildly while repairing damage. It's great for fine or chemically treated hair, since it adds body, improves texture (necessary if you have coloured hair) and eliminates static and frizz. All herbal ingredients are sourced from plants grown without chemical fertilisers, herbicides and pesticides. 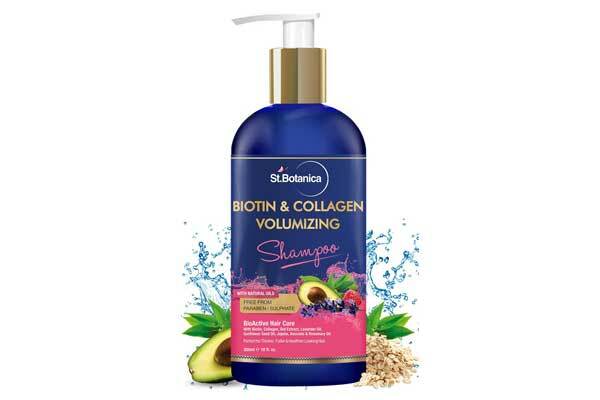 Lemon Oil, Aloe Vera Extract, Sunflower Seed Oil, Virgin Golden Jojoba Oil, Carrot Seed Extract, Tomato Seed Extract, Avocado Oil, Rosemary Essential Oil, Ginger Oil, Peppermint Oil and other yummy ingredients come together in the St. Botanica Biotin Collagen Volumizing Shampoo. Chemical ingredients include vitamin B7 biotin and hydrolyzed collagen. No SLS, parabens, sulfates, silicon. 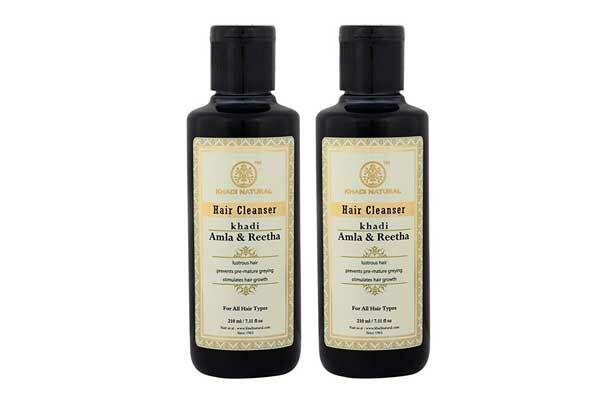 The Forest Essentials Hair Cleanser - Amla, Honey & Mulethi, is one of the best organic shampoos in India. Amla, rich in vitamin C, strengthens your roots and controls hairfall. Raw organic honey, meanwhile, soothes. Other ingredients include Reetha, Nilini, Haritaki, Soya Protein, Pure Coconut Oil. Because the formula is really gentle, you may require two rounds of cleansing. 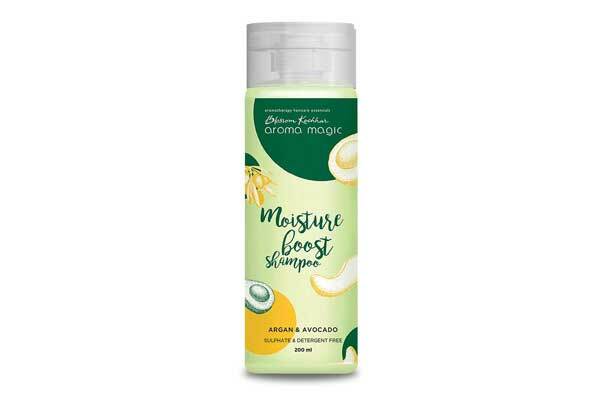 Enriched with chamomile, lavender and argan oil, the Aroma Magic Moisture Boost Shampoo helps retain moisture levels and fortifies hair from the inside. Avocado and grapefruit help your hair grow better and make it silkier, softer and shinier. 100% free of parabens, petrochemicals, phthalates, sulphates, toxic ingredients, artificial colouring and fragrances. That was the 10 best organic shampoos in India. What does organic mean to you? Give us a shoutout on our Twitter handle @HotDeals360 to talk to us. And keep watching this space for more recs.